Monitor two areas with the included digital water detector and digital float switch. Sensors will signal and audible alarm and trigger a text notification. 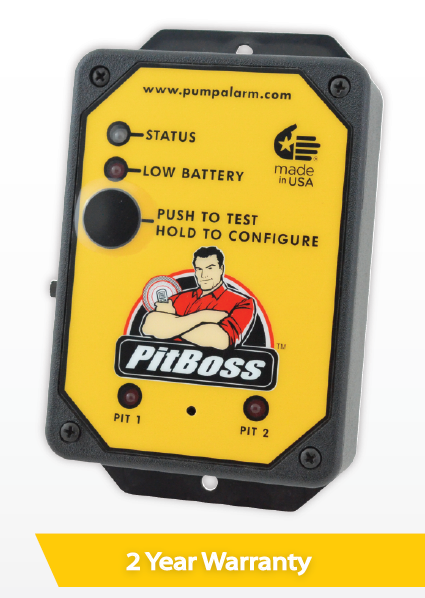 Pitboss not only powers through the outages using 4 AAA batteries, but also sends a text notification if power is lost. Notifications are sent for low battery levels as well. 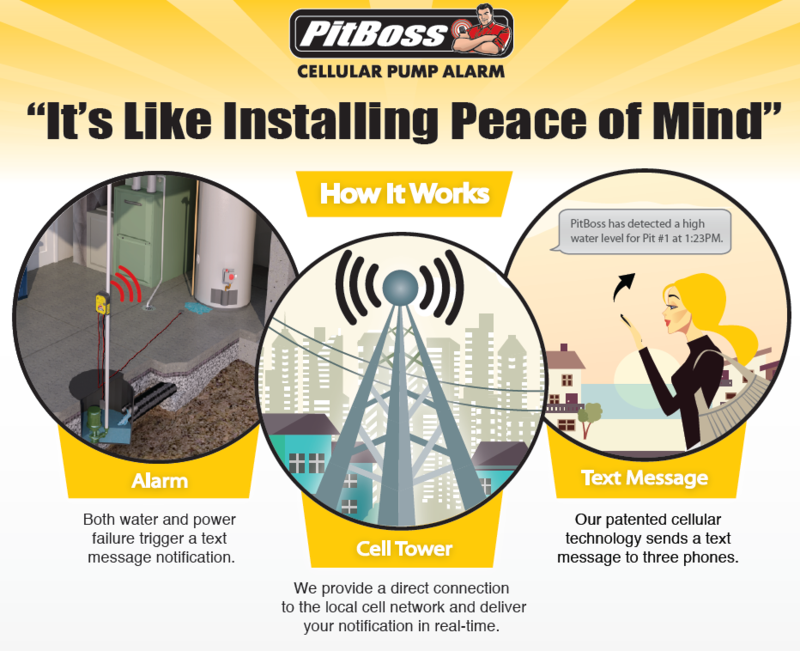 PitBoss sends text message notifications immediately after detecting the temperature has dropped below 45 °F. Frozen pipes lead to catastrophic damages to your property. No dedicated phone line or WiFi network needed. Know instantly of high water or lost power to your home. Two water sensors monitor our sump, ejector, sewage pit or nearby drain. Trusted and patented cellular technology used by thousands across the country. Works side by side with your battery backup sump pump system. Works with all brands of sump and sewage pumps. Text message notifications plus 100db audible alarm help you avoid costly damage. Great for homeowners, landlords and property managers. saving product installed in your home!